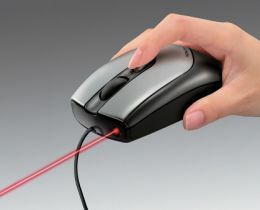 If you are reading this one of your hands is probably resting on a mouse, this month the humble computer mouse celebrates its 35th year, this hub page reflects the origins of the mouse and the future. In the 1960's, a relatively unknown inventor Douglas Englebart, wanted to create a way for people to interact with a computer screen. 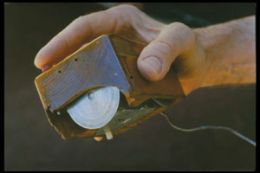 With the help of Bill English, a pioneer of human-computer interaction, he came up with all sorts of ideas, including a giant metal track ball and a knee operated device- which looked more like a medieval torture device than a computer peripheral, but these devices lacked speed and accuracy unlike his personal favourite-a mouse which was nothing more than a carved block of wood with some electronics inside. In September 1972, Englebart's project partner-English-built the roller ball mouse, it could navigate a pointer around the screen with ease, and it was so succesful that despite advances in technology, you can still buy a basic no frills roller ball mouse today. 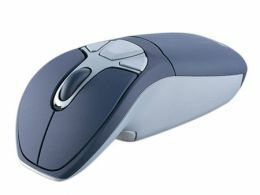 Over the years the amount of buttons on the mouse has fluctuated, one was supposed to be most simple for new users; three gave more options, but in the end the majority of users have two buttons on their mouse. 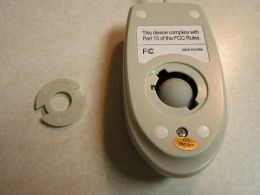 The roller ball mouse has gradually been phased out over the past ten years, replaced by the optical mouse, and more recently the laser mouse, both these types beat the roller ball mouse hands down, you don't require a rubber mat for them, with the laser mouse if you had the inclination, you could surf the internet on your laptop whilst doing a bungee jump, brushing your hair and singing the national anthem at the same time it is so accurate. These days there are mice that are specifically designed for games, allowing you to tailor their feel depending on the game you are playing. 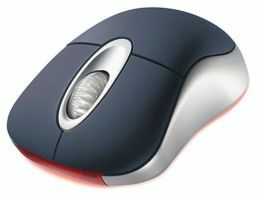 Logitech released a mouse recently that uses gyroscopic technology so that you can make changes to applications in Windows Vista by moving your arms about, despite the advances of the mouse, the humble roller mouse will be missed by many, it's hover like skills that saved you from having to dust your desktop. The mouse will be around for some time to come, although computer interaction technology is continualy changing. For example, the pen and tablet combo offers the added benefit of allowing you to draw and write, in a few years you will be able to control your cursor by pointing your finger at the screen or even by moving your eye. This would be a fun development for someone watching an office full of people wiggling their fingers or winking at their computer screens.